Did you notice? I bet you didn't- especially if you are reading this from Google reader. Guess what? I have 203 followers! YES! Over TWO HUNDRED people reading my blog! I am amazed! WOWZA! Anyways, I am so blessed to have all of your eyes, hearts, and minds reading my thoughts, ideas, etc. I really want to celebrate this momentous occasion, but don't want to go through the hassle of a giveaway (even though I love giveaways!!). Plus, I've discovered something in the blogosphere that I really want to do! I want to host a BLOG SWAP! If you haven't heard, basically you sign up to be matched up with another blogger, and then you exchange gifts with that person- maybe it's nail polish, crafts, whatever, and then blog about it! HOW FUN IS THAT?! Well, a bunch of swaps are at that time of sharing at the end, and I really want to participate in as many as possible one! So, I thought, why not host my own?! And since fall is my favoritest season of all, I'm hosting a fall blog swap! I'm hoping to get the sign-up part up and running this weekend, but I would love some help! Are YOU reaching a milestone soon? Do YOU want to attract more traffic to your blog and have some fun? Would YOU like to CO-HOST this swap with me? If so, email me at allieelliott@yahoo.com, and we'll talk from there! ♥ Time to show off some pins! Let's start with some fall fashion I L-O-V-E! And, the artsy ideas I'm in love with! 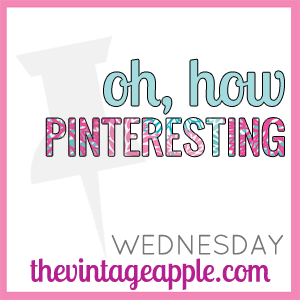 What have you been pinning this week?! Love the fall clothes!! And that little barn turned chic...super cute!! :) Stopping by from the OHP link up. that peacock umbrella is tooo cute! I want a peacock umbrella - but then again, I don't want to part with my Twilight umbrella that I got at Borders before it went out of business. Sentimental reasons.